Professors at universities are used to traveling freely around the world to deliver their research findings or collaborate on projects. 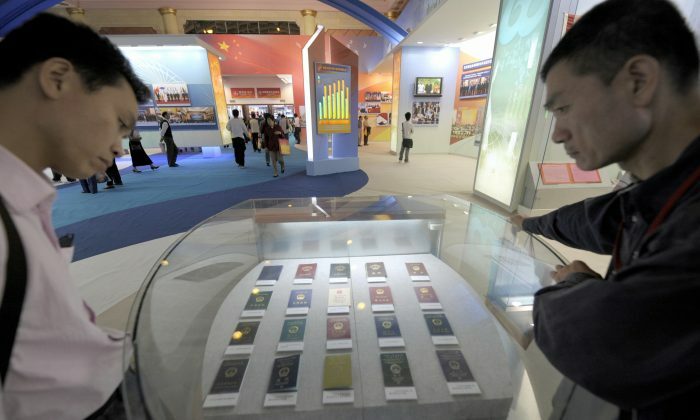 But Chinese academicians seem to barely have access to their passports. A professor at the Southwest University For Nationalities in China’s western province of Sichuan recently posted on the Chinese messaging service WeChat a picture of a Chinese passport and the words, “I’ve surrendered my passport to the school administration; I reckon that future travel abroad will be problematic.” In the post’s comments section, the professor added that other schools in the province would soon start confiscating passports from their academic staff. @crehage LOL Consider your passports censored. The Chinese regime “is afraid that scholars will make careless remarks or make remarks that conflict with those of Chinese leaders,” said Sun Wenguang, a retired professor from Shandong University, in an interview with RFA. Professor Sun hasn’t seen his own passport for 11 years. “I’m not even allowed to go to Taiwan or Hong Kong … I think that the Chinese regime is afraid of scholars,” he said. Before academics, Chinese officials were the ones having their travel documents confiscated. As early as 2008, the Chinese regime had seized the passports of so-called “naked officials,” or Party cadres who moved their families and assets overseas. This measure was implemented to prevent them from defecting to avoid being investigated for corruption.